You have these two guys, living their lives in absolutely the same conditions, say – neighbors, same age, going to same schools, being if the same material status, same health … and still, one guy will see life as hell and the other one will see it as a gift full of opportunities. I know, some of you will say – genes. Parents. Well it may be so. But still. 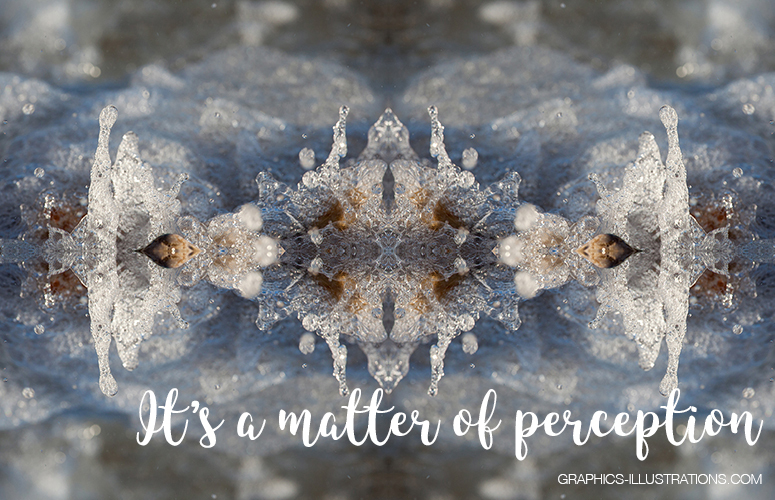 What exactly is causing us to perceive life one way or another? I think it’s sensors. I know, it’s probably not the most fortunate term, but let’s just say that we perceive what we have sensors for. Or – receptors. On all levels. From physical to the emotional. If we have receptors for low frequency energy, we will perceive low frequencies and for us – the world will be just suffering. If we, however don’t have low frequencies receptors, we won’t be able to perceive events as negative. Of course, it is not all black and white. There are unlimited levels and variations of receptors and energy waves around us. It’s only a question of what we are “tuned into”. And when our receptors are tuned to sense positive vibrations, we will, consequently feel better. And we will take actions from this “feel good” state of mind. We won’t be able, even if we wanted to – to feel bad. And as we take action from that “feeling good” state of mind, these actions are more likely to yield what we perceive as positive outcomes. I’m not saying that we can now go to mechanic and replace our receptors with other ones. But just being aware of that is already a good start. Ok. Gotta go now. I am definitely onto something here, so what can I say? Monitor your receptors and see if you can start working on “tuning” into perception of good vibrations.